There's plenty to consider when choosing a monitor for the home or office, but outside of resolutions and inputs, there are new technologies you may not be aware of that are well worthy of consideration. Philips is one of a select few manufacturers who are thinking outside of the box to deliver new innovations designed to make our panels more ergonomic and energy efficient than ever before. Building on its wide portfolio of existing products, the firm has introduced a new-and-improved ErgoSensor display in the form of the Brilliance 241P4LRYES. Described as the "world's first intelligent display," the 241P4LRYES makes use of an integrated camera to address a user's individual ergonomic requirements by monitoring time spent in front the monitor, distance from the screen and upper-body posture. These innovations have been brought about partly in response to a recent survey investigating the current state of office ergonomics. The results of the study, which involved participants from Germany, Sweden and Denmark, found that over 80 per cent of desk workers experienced pain and fatigue after a day at the computer. The most frequent symptoms among German participants included eye strain (48 per cent), back pain (48 per cent) and neck pain (43 per cent). Furthermore, the survey found that only half of private-sector workers have a height-adjustable display. The answer, claims Philips, is an ErgoSensor monitor that's designed specifically to address many of the aforementioned issues and promote wellbeing in the workplace. Effectively a small camera integrated neatly into the top of the monitor, the ErgoSensor is able to accurately measure the distance between the user's eyes and the screen, as well as detect neck posture or head angle, and time spent in front the display. Using this data, the monitor is able to present on-screen notifications giving suggestions on how far away from the screen you should sit and advise on improving your posture. By tracking the time spent at the screen, the ErgoSensor is also able to remind users when it's time to take a well-deserved break. In addition to the intelligent ErgoSensor, the innovative Brilliance 241P4LRYES monitor includes a 130mm height-adjustable stand supporting 90-degree pivot, 65-degree swivel and 20-degree tilt. Connectivity options include DisplayPort, DVI-D and VGA, as well as a four-port integrated USB 2.0 hub and integrated stereo speakers. Ensuring a pleasant viewing experience, Philips employs a 24in AMVA LCD panel with a W-LED backlight system, 1,920x1,080 resolution and an ultra-wide 178-degree viewing angle. Making energy efficiency a priority, the Brilliance 241P4LRYES also offers a 16W ECO mode, typical power draw of 0.2W in standby, and a dedicated 'Zero switch' located on the rear of the panel to easily cut power consumption to zero. Continuing the energy-efficient theme, other monitors in the Philips range are equipped with PowerSensor technology to help automate energy savings in the home or office. 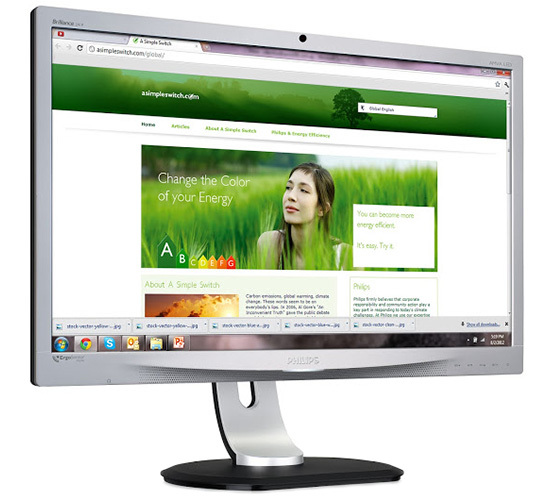 Integrated into a wide range of monitors, the PowerSensor uses infrared technology to detect the presence of a user in front of the monitor. Step away and the monitor will recognise your absence to automatically dim the panel or enter standby, effectively cutting energy consumption by as much as 80 per cent the moment you leave your desk. Return and the infrared sensor will quickly bring the monitor back to your previous brightness setting. The PowerSensor and ErgoSensor are just two exclusive Philips monitor technologies to look out for in 2014, and both are expected to feature in a wide range of future products. 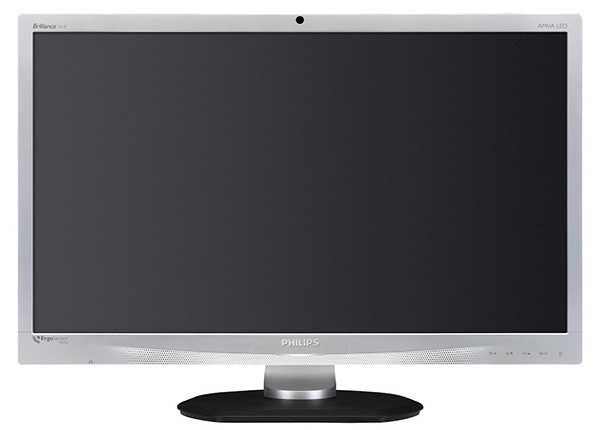 The Philips Brilliance 241P4LRYES monitor is available from Insight and Misco. For full disclosure, this editorial was sponsored by Philips. So now my monitor is going to nag me about my posture, and tell me when I need a break? Seriously, Phillips? And this supposedly will “promote wellbeing in the workplace”? Really? I rather suspect that all it would promote in me is an intense desire to “reprogram” the monitor …. with an axe. Or to defenestrate it. See, personally, I don't think this goes far enough. It should monitor what you eat, and warn you when you've hit your limit for, say, sugar, or caffeine for the day. After all, you want healthy employees, right? Then it could make suggestions on what you ought to eat for lunch, based on your consumption thus far. For example, “I see you've eaten three doughnuts this morning. Your intake of vitamins is low - could I suggest an apple? Tomorrow, I would recommend reducing your fat intake”. It could also monitor your visits to the bathroom, notify you if you're taking too long, and even better, advise when it anticipates your next need. That feature could be extended to interface with your calendar and set up the times that suit you and your body. It should also monitor your habits, and perhaps bring up notifications for people who pick their nose to warn them that it's unpleasant, and that your employer doesn't approve. It could also check your heart rate and your breathing, and flash up warnings when it sees your stress levels begin to increase. And, of course, to send a note to your manager when your vital signs indicate a state of relaxation. They could perhaps fit in a small electric shock machine, that when it senses such a state, sends a small electrical pulse to the mouse to bring your attention back to your work. This could be applied to the nose-picking feature as well. I'm glad all of these intrusions can be scuppered with some cheap electrical tape. I didn't appreciate the article title, I was expecting some nice tips and information on workplace ergonomics (since my back and neck are in tatters using my current setup). All I got was some gimmicky advert for a Philips monitor. Things like this should have a prefix. And what company will ship these in if they keep telling the staff to go on a break?